The Diagram tab shows a graphical representation of the selected location. Relative schedules cannot be visualised and will be skipped. 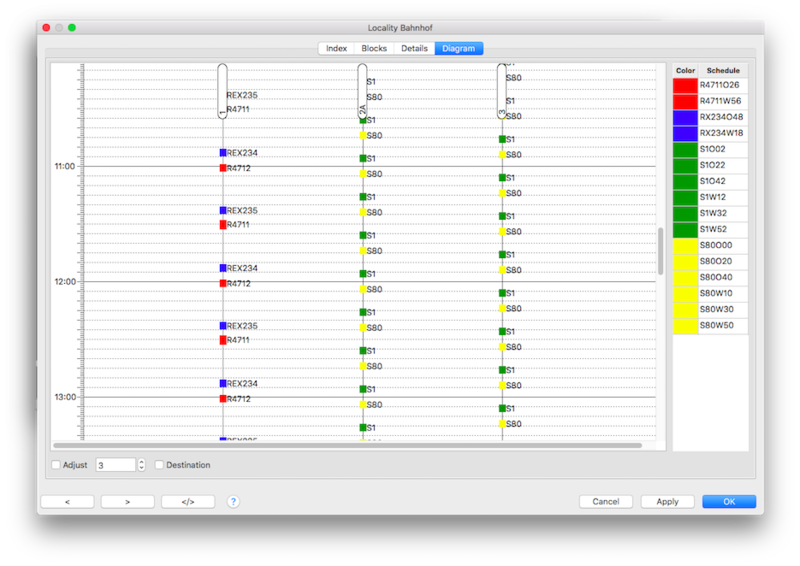 The graphical location representation will show all location blocks and the hourly/absolute schedules which affect it. This will show the operating grade of this location. If no platform name is defined the block ID will be shown. Scale the graphic to the height of the dialog. Show the final destinations in the graphic. On the right there is a list of schedules with corresponding color. A double click on a schedule line will open the schedule properties dialog.